The annual Tooele Youth Summit will be held next Tuesday, April 4, 2017 at Tooele High School from 6-8 p.m. Registration begins at 5:30. Each year, prevention agencies from across the community come together to sponsor this event to inspire and educate youth and their families. Students and parents are encouraged to attend. Students can have one U removed from their transcript for attending, and two removed if parents or guardians accompany their student. Our featured keynote speaker this year will be popular youth speaker, Hank Smith. 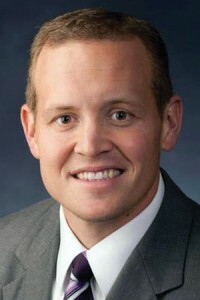 Hank earned a master’s degree from Utah State University and a PhD from BYU, where he now works as an instructor. In addition to his work in consulting companies and school districts, Dr. Hank speaks for school assemblies around the country. Dr. Hank has also authored many books and audio CDs with Covenant Communications.